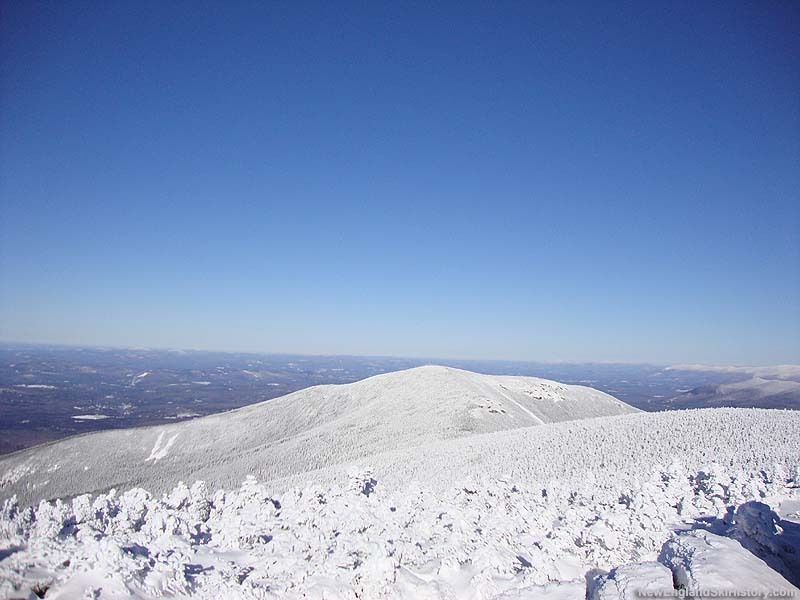 At 4,761 feet in elevation, North Twin Mountain is one of the highest peaks in New England. Adventageous backcountry skiers are known to visit its remotes slides in winter. North Twin Mountain was once considered for a major alpine ski area development. It is not known how serious or advanced this proposal was, or if it eventually was moved to the present location of Bretton Woods ski area. The mountain was considered a potential contender for a 1976 Winter Olympics bid. There are no known remains of the proposed North Twin Mountain Ski Area.
" At Twin Mountain, in the shadows of the Presidential Range, there is talk of development, too. " 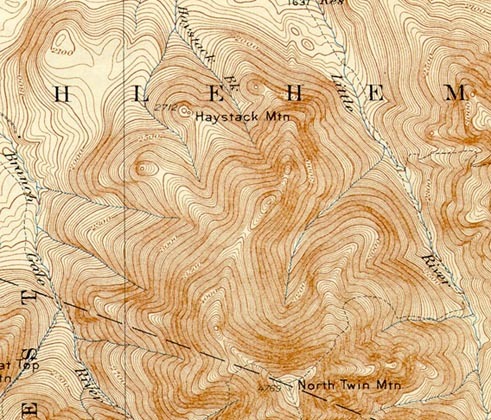 " Two of the acceptable complexes were in New Hampshire, one the Mt. Washington Valley region in the eastern slope area of the White Mountain National Forest, the other the White Mountain 93 area, including Cannon Mountain, Mt. Blue, Mt. Bond, and North Twin Mountain. " Beatrice, Mike. "Maine Site Seeks '76 Olympics." Boston Globe. 24 Jan. 1967. Strauss, Michael. "New Hampshire Investing In Winter." New York Times. 3 Dec. 1961.